The spotlight shines on Broadway! 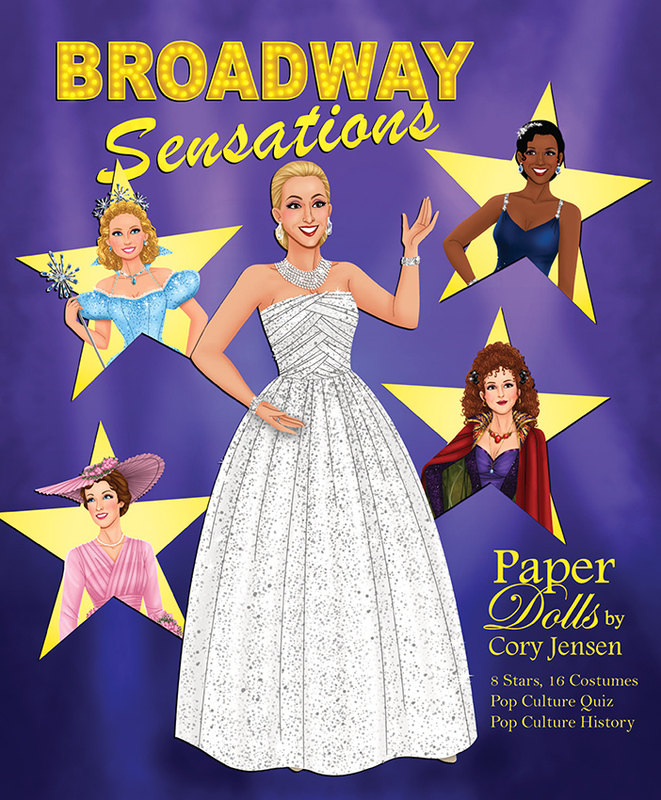 This special book by Cory Jensen celebrates eight show-stopping Broadway Sensations with superb acting ability, fabulous style and powerhouse vocal talent! 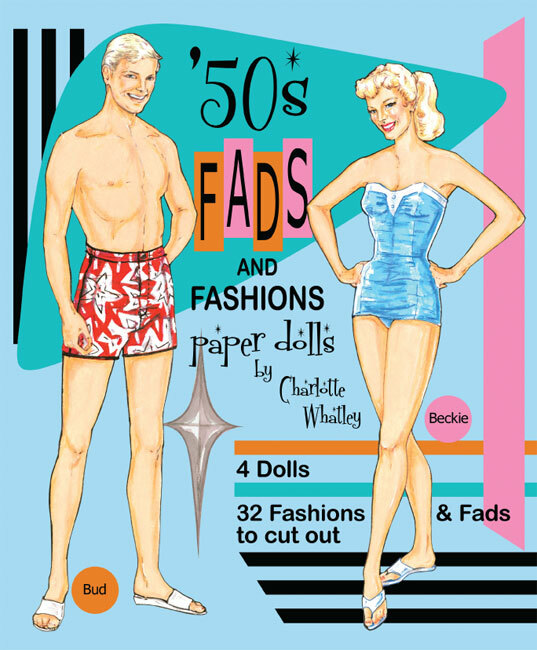 Whether a demure secretary longing for recognition or a witch defying gravity and demanding justice, these paper dolls represent women who are pop culture icons. 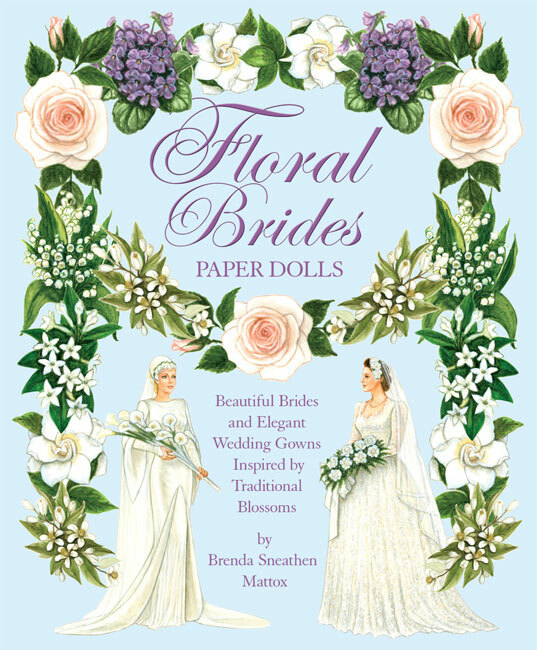 With a combined total 35 Tony nominations and 15 wins, this book features Julie Andrews, Barbra Streisand, Patti Lupone, Bernadette Peters, Heather Headley, Idina Menzel, Kristin Chenoweth and Audra McDonald. 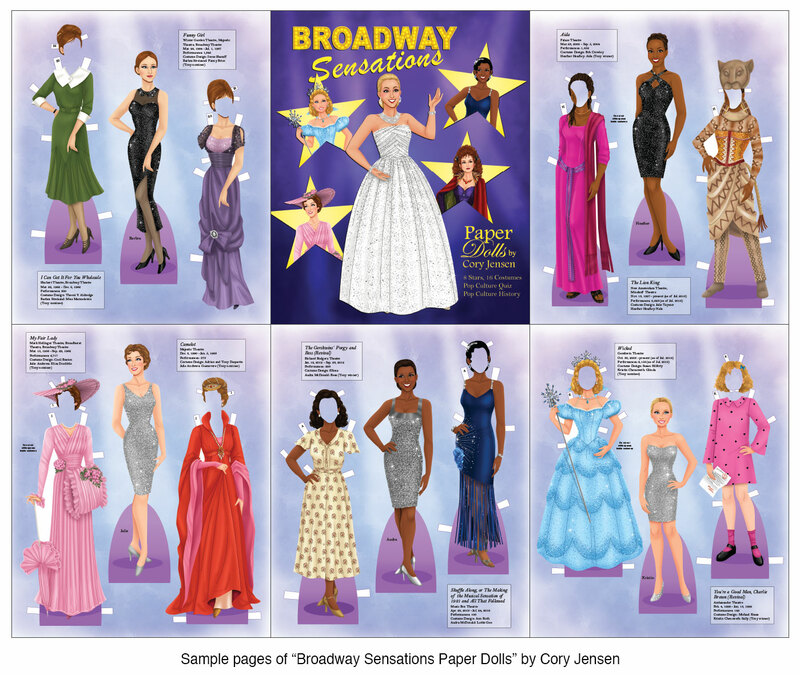 The 16 costumes span seven decades of Broadway shows: Wicked, My Fair Lady, Gypsy, Funny Girl, The Lion King, Evita, Camelot, Porgy and Bess, Aida, Rent, I Can Get It for You Wholesale, Sunday in the Park with George, Shuffle Along, and You’re a Good Man, Charlie Brown. 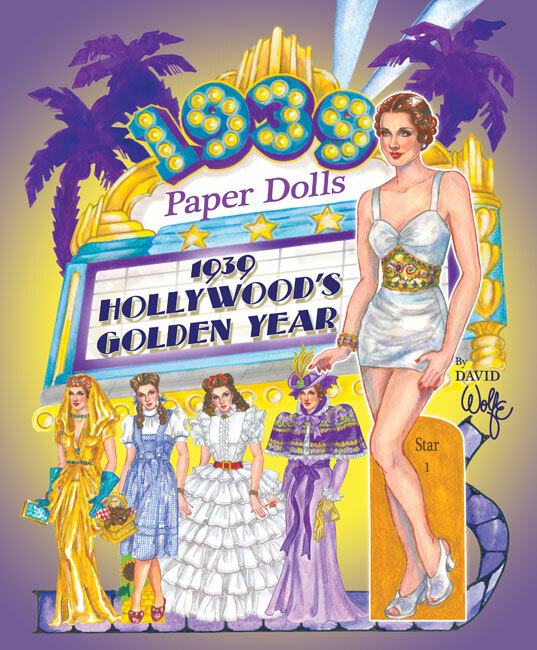 The first in a series of Pop Culture Paper Doll Books, this edition includes a history of Broadway and a fun Broadway trivia quiz! Model: Dynamite Ladies of Broadway!